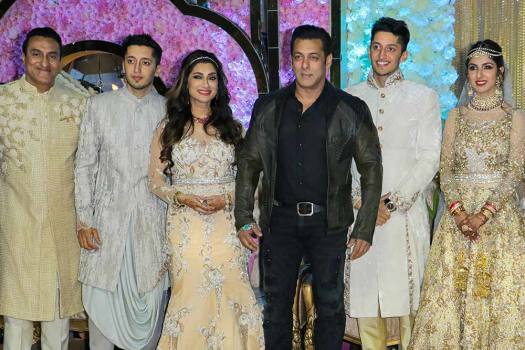 Bollywood actor Salman Khan attends the wedding reception of Azhar Morani and Tanya Seth, in Mumbai. 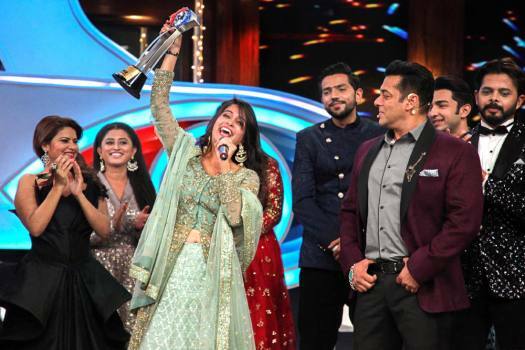 TV reality show Bigg Boss Season 12 winner Dipika Kakar Ibrahim celebrates with a trophy as Bollywood actor and program host Salman Khan looks on, at Lonavala near Mumbai. 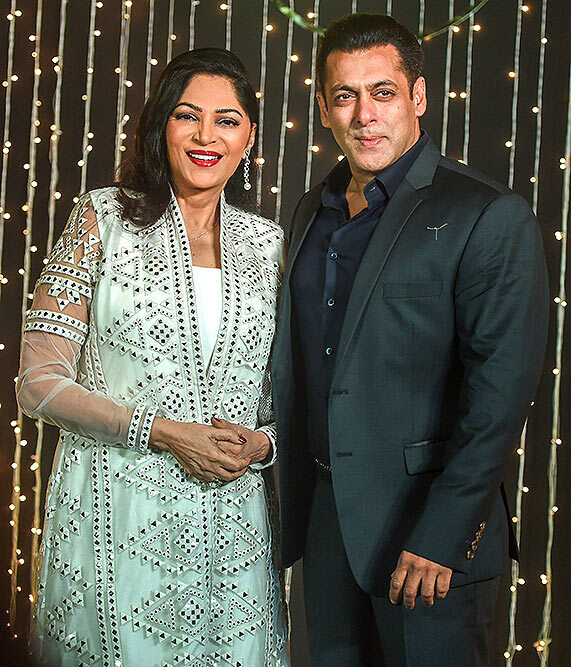 Bollywood actor Salman Khan and talk show host Simi Garewal pose for photos at the wedding reception of Priyanka Chopra and Nick Jonas, in Mumbai. 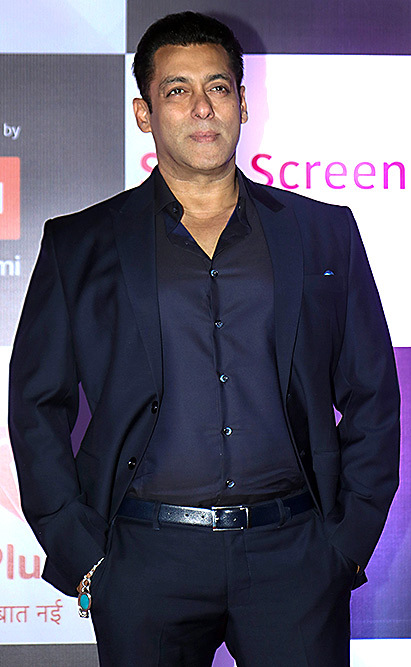 Bollywood actor Salman Khan poses for photographs at Priyanka Chopra and musician Nick Jonas wedding reception in Mumbai. 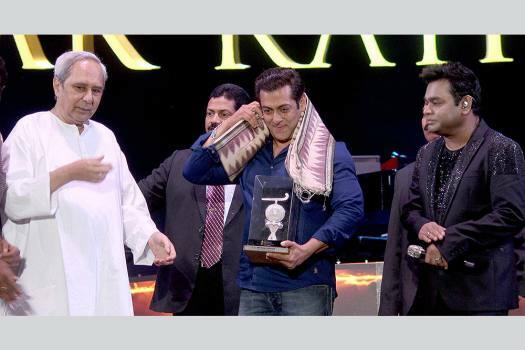 Bollywood actor Salman Khan at the 'Star Screen Awards' ceremony, in Mumbai. 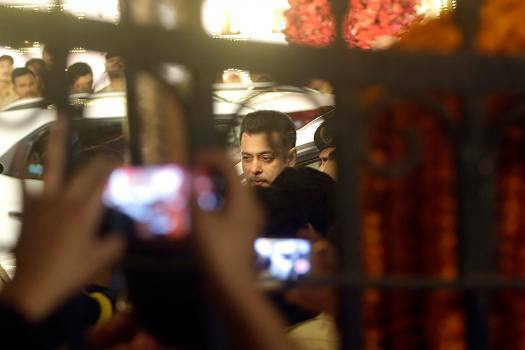 Bollywood actor Salman Khan arrives to attend the wedding of Isha Ambani, the daughter of Reliance Industries Chairman Mukesh Ambani, and Anand Piramal in Mumbai. 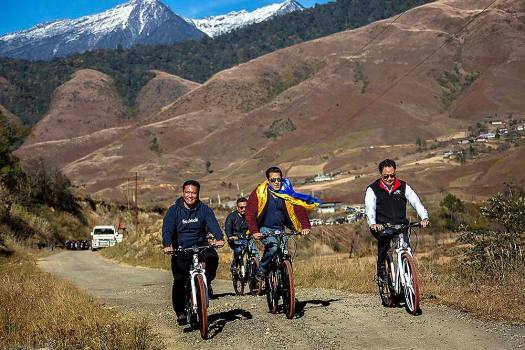 Bollywood actor Salman Khan addresses at the conclusion of MTB Arunachal Hornbill's Flight 2018, in Mechuka. 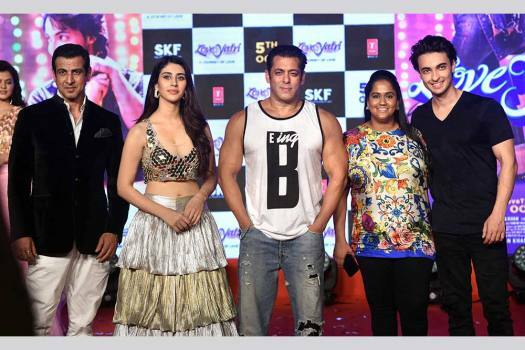 Bollywood actors Salman Khan, Warina Hussain (2nd L), Rohit Roy (L), Ayushman Sharma and Arpita during the promotion upcoming Hindi film 'Loveyatri' in Mumbai. 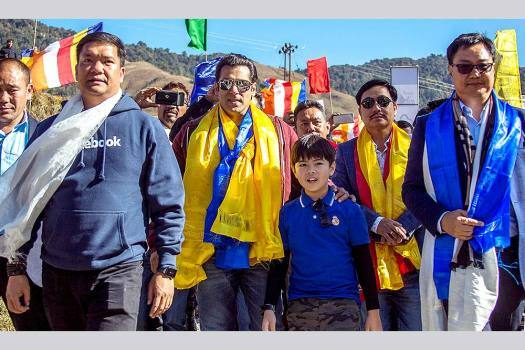 Bollywood celebrities such as Akshay Kumar, Ranveer Singh, Priyanka Chopra and others expressed shock over the terror attack in Jammu and Kashmir's Pulwama that killed 40 CRPF personnel on Thursday. 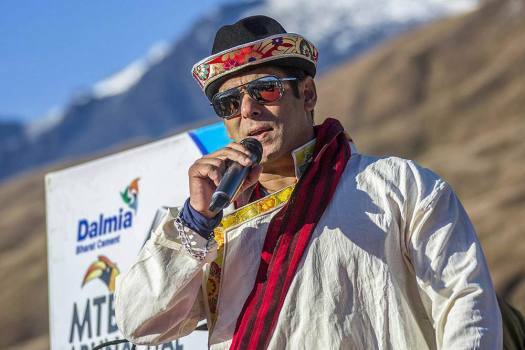 Fans and TV audience may have spent the last few minutes biting their nails as Salman Khan prepared to announce the winner on Sunday night, but not Deepika who won the title this season. 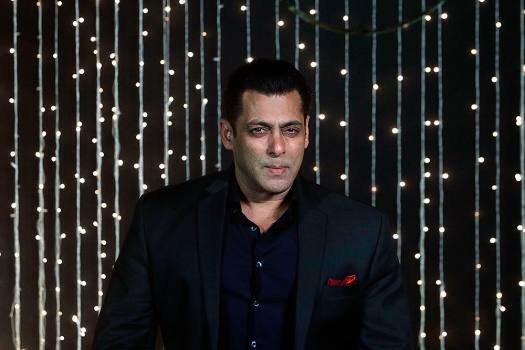 The controversial reality show, Bigg Boss’ 12th season is coming to an end. So, hold on to your breath for the grand finale. Celebrities like Irfan Pathan, Pooja Bhatt and Malayalam actress Priyamani Raj took to Twitter to extend their support for Sreesanth. The Padmavat has also made it to the top 5 of Forbes's India's 2018 list of richest Indians, becoming the first Indian woman to do so. 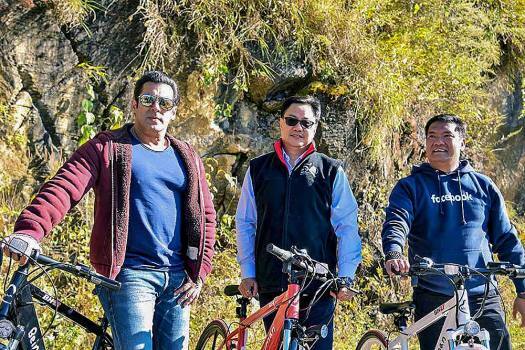 Salman Khan is no stranger to big bucks. 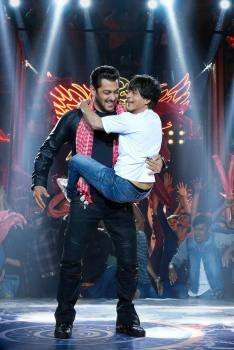 A list of his movies that graced the formidable Rs 100 crore club. 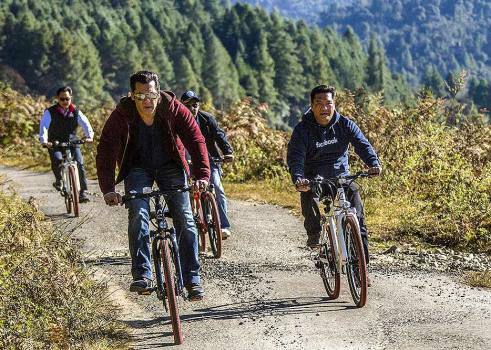 Salman Khan is running no race, he’s riding high on pure stardom. Content be damned. Enigma in a puzzle. 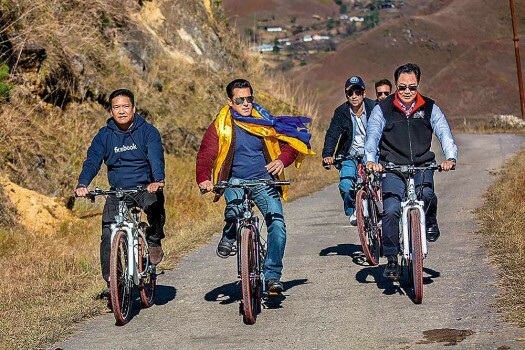 That’s Salman. The reason why he rouses passion. 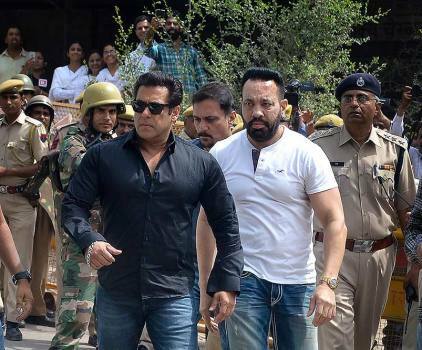 It takes 13 long years to obtain conviction in the high-profile Salman hit-and-run case. 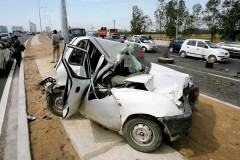 Does this serve justice? While the Rajasthan High Court has acquitted him in two cases of poaching of chinkara, trial in the third case of alleged poaching of two blackbucks is on. 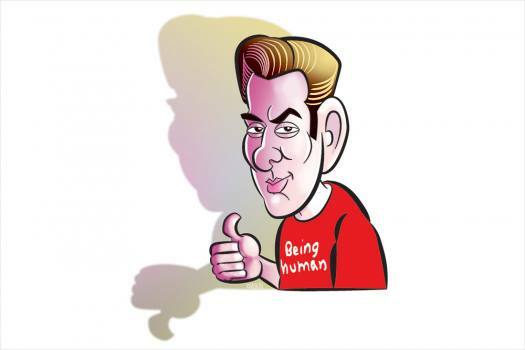 Trump or Clinton: Guess Who Salman Khan Is Supporting?